"A great tool for coaching Team members"
Our company uses GoSpotCheck to focus on specific operational issues. The goal is to show operators what they are doing correctly as well as what they need to turn their focus on. It is a quick and easy tool that gathers a lot of information very quickly. I like the apps ability to incorporate photos into the process. On the website, I'm able to run some reports that give me a better picture of how my district group of locations is doing overall. I can spot trends and direct my focus where needed the most. I did have an issue with the photos not showing up in the pdf file that I receive. I brought this to the attention of GoSpotCheck and their Team jumped on it right away and corrected the problem. There's nothing that I "dislike" about the app. It works great. This app helps in a number of areas: Portion Control--I am able to visualize with photos how the product looks and I incorporate a scale to show actual weights. It's an eye opener to the operators. Hospitality--I can show how the service staff is hitting on the key elements of customer service and hospitality. It gives operators direction on where to focus their efforts. "One of the most valuable tools for collecting market intelligence"
Incredibly easy-to-use survey design interface - the content is only limited by your imagination. We used to have to pay third party companies tens of thousands of dollars to do what GoSpotCheck easily accomplishes in far less time. It's not entirely compatible between business partners (e.g. brokers) even if they subscribe to the same tool. This is such a convenient tool and easily fills a void that has existed in the industry for decades. If you have in-market employees/business partners and have ever needed to collect data on store variables, this is the perfect solution. I specifically use the tool in a Category Management capacity - it's a way to direct our field teams to collect specific information at the store level which is quickly and effectively consolidated into a summary for easy analysis. I have been able to use it to make specific customer recommendations as to shelving, assortment, and other marketing variables that subsequently resulted in sales increase. "Concise view of the retail landscape in one place"
I really haven't found any aspect of GSC that I don't like at this point. I haven't had to go in an set up the information we are seeking, so I don't know what that is like. All I know is the end user info. I highly suggest the product as a solution to answering your burning retail questions. I stated some of it above, but pricing initiatives. production issues, the ability to see quickly competitive launches and your distribution within specific set sizes. "Easy to access and upload store checks"
It refreshes and shows me the stores closest to my current location. I like that it keeps track of my mission at the store and that I can add pictures and descriptions plus any additional comments. "Best App to Track Data for Field Team"
Go Spot Check is SO simple and easy to use both on the app while collecting data as well as on the back end creating missions and reviewing data. It's easy to customize your questions to get exactly what intel back you are looking for. The camera option and other quick buttons make it fast to fill out the mission while in the field. I also love the customization of alerts you can set for yourself as the admin if you need to take immediate action on certain items. Great platform overall! I would say the ONLY thing that wasn't as user friendly as I would have liked was the way you have to re-order questions when building a mission on the website. I wanted to be able to drag and drop a little easier to rearrange questions. There also seem to be a lot of updates that would cause some problems for my team, but once they all set their apps to update automatically it helped with these problems. I highly, highly recommend Go Spot Check to anyone who is remotely managing a Field Team. Not only is the accountability great, the amount of data you can receive is incredible! It's easy to use as an admin and as a user. I've looked into other free or less expensive data collection apps and NONE of them compare to the versatility and ease of use of Go Spot Check. Not to mention, when you need help or want guidance on how to maximize the program, they are always there to help! We use Go Spot Check to collect data from our retail partners. It's helped us track our competitors promotions and new products, feedback from store staff and customers on our products and what is selling and capture photos in real time of poor or great merchandising. Not only is this great intel for me to report back to our corporate office, but it also helped me manage my field team's time and efficiency. Since the app is GPS based, I was able to see that they were performing their tasks in a timely manner, which is very important as a remote manager. "One Stop Shop for retail tracking"
This is an ideal tool to track performance and productivity for field staff. It can be customized to work in both B2B and B2C segments. The support from the team is exceptional. They really try to understand our business and what we are trying to accomplish before implementation. Not sure - it works well and if there are issues they are primarily with data connectivity which sometimes creates glitches. A easy to use tool to help with day to day management of sales staff , measure effectiveness and execution of duties. Measurement of sales KPI's in real time, downloadable reports that allows you to dissect information whichever way you need it. I love being able to pull real time data. This allows me to better provide information to our clients in a very fast and efficient way. Honestly, I have yet to run into an issue with GSC that would be considered "bad". The support team and the application work flawlessly in my opinion. Really get familiar with your Admin capabilities. There is so much you can do that's just a few clicks away. It helps us with better understanding shipping / package count trends with our clients and also getting feed back from the client via "survey missions". Setting up the email notification filter for "hot topic" items has been amazing with addressing in a timely fashion. "Time saving task validation with photographic & geolocated documentation." Speed and accuracy of data collection, with easy photo reporting using the photo filter. Account maintenance, creating place groups. I am well versed in data clensing and still manage to create duplicate accounts when uploading a csv file. Work with your sales rep or customer success manager and demo it live in your workplace. You will buy the service. The Photo Filter is the #1 most useful feature that I have ever used on this or any other platform. It has taken my recap time for sales incentive documentation from 3-4 hours to less than 15 min. The cost savings for my time alone is a huge win for my company. "Easy to use and effective in managing from afar"
I like that we can get instant data on focused initiatives even when we are hundreds of miles away. I use it as a location finder, as well, for when I'm out of town and need to get to the nearest cafe quickly. Lots of great uses for the GoSpotCheck app!! I support the manager of bakers and it's easy for me to see how we are doing with product quality and keeping our cafes clean. The ease of use of the app is a huge win in getting everyone, even those who aren't so savvy with technology, to be able to complete missions. A few of the aspects of GSC I like the best: It's available in an app so I am able to carry my phone as opposed to the ipad. Every checklist get a score. I have the ability to chose a location and observe all checklists done in that location by everyone in our company. Lastly, I like the ease of emailing completing audits. I really cant think of anything I dislike. Its convenient ad easy to use. Because the audits are stored, we are able to better tack observations being done on our staff. We are also able to cut down on paper usage because in the past all the observations were printed out and kept in employee files. "GoSpotCheck has been a great tool for our business to increase our efficiency and gather more data"
Being a small company with large territories, we cannot access distant accounts on the iPhone app. "Very user friendly and simple"
-The user friendly interface that is simple to use. GSC is an amazing organization of talented and professional team members. They have worked hard to create the perfect missions needed to insure we can measure and analyze the day to day needs of our people and what they accomplish in the field to better our business. Absolutely nothing. I am very happy with our partnership. Any requests are always look at and improved upon. It has completely changed the way I am able to manage and report findings to upper management in an analytical way. IT makes me look and feel even smarter! Understanding real time actions in the field at a moments notice without drilling thru massive reports to read results. "Real Time Reviews of Missions is worth it. " The availability to change/add mission tasks by simply logging in and not having to wait for a developer is one of the main reasons I like GoSpotCheck. It's very user friendly and all levels of technology skills are able to complete missions. It would be great to be able to start a mission with one user and then send it to another for completion or have the ability to combine missions. Also the PDF feature could be great if it was improved, just creating a PDF from a screenshot of the mission isn't that beneficial. The ease of use, from the development stage to the report feature is great. All levels of technology skills have been able to use this program. The feature that my company really finds the most benefit is that we can adapt and change the missions on our own. It's great to be able to see mission responses in real time, this has really cut down on the wait times my company has when reviewing reports. We are able to see issues right when they are identified and can start to develop corrective actions. "Incredible easy to use data collection app! " Go Spot Check is always making improvements. Sometimes there are updates (to the app) that are required, which can get to be a little annoying. Allowing the app to auto update is important to reduce problems. On a positive note, all these improvements have made access on the back end much easier! Give it a shot! The staff is incredibly helpful in learning your business and educating you on how GSC can help your business. They aren't pushy, just want to help you, help your business. It's easy to get your users on board and I cannot rave enough about the real time, hard data you can utilize to show the good or bad out in the field, which allows you to seek opportunities for improvement and overall improve your bottom line! This has helped us communicate data we know in the field to the office bound staff. Putting hard numbers and actual data to anecdotal facts has helped us tremendously. We know understand the impact other brands have had on ours, can measure their promotional activity against our actual sales, and so much more! It also adds a level of accountability to the field team. It allows our sales force to place photos of various store displays for review by administration. This allows us to pay the sales force incentives for accomplishing the marketing strategies set forth by our suppliers. So far I have not really found anything that I really dislike. They have added the scheduling a mission feature which saves us immeasurable time, considering we typically have over 100 missions running per month. It solves the issue of the sales force presenting photos for review. Prior to Go Spot Check, we had to build cumbersome excel spreadsheets (Decks) and email to the sales force. They in turn had to paste their photos and return by email. As picture quality improved with the newer phones capabilities, the spreadsheets became much to large to email. This caused frustration on both the part of the sales force and the analysts who had to review them. It was a very time consuming project every month. Ease of use. The app and PC based platform is very simple to use. Go Spot Check has fundamentally changed the way we collect Data from the field in our organization and allowed use to report data drive metrics to Senior Leadership in as close to real time as you can get. It changed our organization in such a fundamental way that we are currently looking at expanding its use across all aspects of our business. I would be remiss if I did not mention their customer support, in my opinion it is world class. This has been a really great tool to manage sales reps and review reports. I can determine easily who is meeting their KPIs. The support from the team at gsc has also been amazing! Time zone difference for live help. Not being able to run certain reports myself. Staying on top of reps and ensuring managers are doing what they need to realise results. Very user friendly and intuitive,. Our team appreciates the simple nature of the program, coupled with the terrific customer service provided by their sales support team. Would like to see what accounts weren’t visited in a specific time period. A “cold” map of those accounts would be helpful. GSC makes tracking rep travel seamless. It allows management to guide travel behavior and measure against opportunities in the field. This used to be a cumbersome, spreadsheet reliant effort based upon where Reps reported being with little ability to confirm visits. Seeing photos from rep visits allows us to act on sales opportunities. The ability to quantify the activities of our sales team in the field - by capturing specific details such as time spent in each account, amount of associates trained, and images of both ours and competitive product. Occasional feedback from the team that their images and/or content won't upload and sometimes they end up losing it and have to restart the mission. If you're an Admin, go out in the field and use it so you understand how your team is using it. Quantifying results in the field by territory. GSC employees have been fantastic to deal with from the beginning. From our initial contact to our current dealing everyone has worked towards giving us the best service/product possible for what we need. Only small things, like the map feature (currently being dealt with). We are a retail company so we need information gathered from our reps in the field and GSC does it easily and makes it dummy proof for everyone involved. "GoSpotCheck makes our team more efficient "
GSC reduces the amount of team spends filling out call reports, which translates to more stores visited per day. In addition, the data collected by our field team is much easier to access, evaluate, and allows us to implement immediate changes in the field. There really is not anything that I dislike. If a situation arises, the customer support team address the issue and helps us to resolve it quickly and efficiently. We are solving our data gathering process, and utilizing the data in new and beneficial ways for our field team and product. The mobile app is very easy to use and manage. The support you get from the GSC support team is second to none! They are very responsive and have answered every problem I had with a positive outcome. At this point I don't see any issues. The only issue might be the time difference since I'm in Hawaii most of the time if I call everyone from GSC has gone home. GSC solves one of the most critical business needs is to see what in-store execution looks like. As a premium brand we depend on those reports to show us what is working and what's not. The reports that are generated are easy to understand and provides clear & intelligent solutions for us as a company and for our retail partners. Content flow and ease of use. I also like that we can custom just about any survey. We use the App to survey accounts on how retail looks against our programs and NEP. I also like that the App is GPS enabled to find the accounts we are looking for easily. Reporting would be great on the App. In order to run real time reports generated from the day in trade. We can run them from the website but the App needs to have the ability to do quick reporting to show impact in real time. More App info on reporting in real time. Surveys to inspect what we expect. Enables better effective communication with our Distributors to help impact the business. We can collaborate on the findings and adjust programs to the business needs. The ease of setting up questions. With the vast array of options, you can ask ANY valuable question and get a valuable answer back. Not a good roll-up of responses. If you don't set up all missions the same way, there is no 1 easy way to view all your current/stopped missions in 1 fell swoop. They are constantly upgrading and always take feedback, so well worth the investment. Have a one-stop shop for all things POS related-so we're not scrambling to find answers in multiple forms and locations. "Go spot check is very useful tool to collect all relevant data needed to keep everyone updated. " I like that everyone can view a customers account and be updated without having lengthy calls or meetings thus saving us time. Some misssions seem to need some adjusting and sometimes I get issues with uploading some missions. I highly recommend Go Spot Check to anyone wishing to keep proper records and keep personnel more accountable. We are solving a reporting issue. We have since been able to identify the frequency in which a customer is visited and also on what items need to be addressed. "allows analysis and verification of sales team work in field"
The ability to create easily customizable missions including photos, location with timestamp and GPS location. This helps to verify that product was placed in stores or displayed on restaurant menus. Reports on the site are useful and easily exported to Excel for further analysis. There isn't much to dislike since everything can be customized from the questions in each mission, exportability to Excel and salesrep team assignments. Incentive tracking to verify placement of product within a store or restaurant, photos of restaurant menus or in store displays. The easy and quick accessibility to the app and how useful it is for day to day work. Account management, it really helps you organize your day. The platform, the people, the performance of both. It has been great! We started looking for a solution that would enable our team to do the work when they are in store and not be stuck at their computer for hours through the course of their evening inputting data. There were times that information would be lost or inaccurate because the employees wouldn't be able to remember everything from the store. GSC allows the associates to log their visit while in store and ensure that everything they have to say is categorized correctly. There actually isn't much I could say here. Do it. They will work with you to determine how the platform can help you run your business better and smarter. We have better organized data, can get specific information from our field associated, and can send information gathered to the teams that need it. The user experience has enabled the team to do a lot of their analytical work while in store helping them to find and solve problems when they can make a difference. "Wonderful tool that helps get down to the root cause"
Functionality of the user friendly mobile app and dashboard. Using this tool has assisted in identifying some underlying concerns and finding root causes to some of the issues experienced in the field. The ability of attaching photos is another great option as this provides a literal picture of what the user sees. Another useful function is the ability of receiving email alerts at the exact moment when a specific task is completed. Efficiency and product quality has greatly improved due to this. The staff at GoSpotCheck has been nothing but great with us, as we introduce the tool to an ever larger part of the company. We currently have around 600 users and with each new user, GoSpotCheck helped them understand how to use the tool and provide immediate support when needed. Great team to work with! As a whole, there isn't anything that is to be disliked. If i ever have any type of concern, it is addressed. GoSpotCheck has gone out of their way to provide us with phenomenal service. For selfish reasons and a bit of humor, I may dislike GoSpotCheck expanding too much because I worry the personalized support may become a bit neglected, but i'm not too worried because the culture of great customer service is coming from the highest levels at GoSpotCheck. Many of the audits that were completed in the field are now completed using GoSpotCheck. This allows us to analyze and filter data from a centralized location and benchmark markets. In addition, this provides us with the ability of creating market specific Plans of Action to address concerns. Another example would be: we produce and deliver product that is time and temperature sensitive, daily to our customers. Should a customer see that today there is an issue with the performance of a product, he/she completes a mission, which alerts the production manager of the issue and the adjustment can be made for the following day's production. Fliexibility with customizing reports. Perhaps a field to drag and drop different parameters to build a report to view data that is needed. I personally gain the ability to easily record and access data from customer visits and that's plus for me as I can establish continuity from what was discussed previously. The general layout of the software can be a bit more intuitive and offer features such as being able to edit mission responses within reason. i have not found anything i dont like about this product! "This is a fast and effective way to market and get rewarded." Being interactive and finding out new promotions. I feel like the implementation of this product has been useful to our marketing team. There is nothing really that I dislike about this service. "A Great Way to Monitor In-Store Execution "
There is nothing that I can think of that I dislike. GoSpotCheck allows me to evaluate the execution of our assortment and point-of-sale content in store.. It is really the best tool we have found for getting information and data from field workers without having to go out into the field ourself. We use GoSpotCheck to review photos of product displays which the sales force and earn incentive dollars for. GoSpotCheck is a simple-to-use app that we've had in place for about 3 years now. It allows us to track and quantify our team's service in the field, and assign tasks in a clear way. The GSC team provides great customer support too, very quick to respond if we need it! Nothing comes to mind, we've had a great experience using GSC. Accountability and tracking of our field team's work. "GoSpotCheck is professional and comfortable to work." Through GoSpotCheck every month we save time making our Magazine compliance. It is very easy to use. I don't like that when I finish a mission in a store.....continue showing this store as pending, and it I need to change something I have to do the mission again. I t is very easy to see any planogram, and we can fix faster. The application allows my team to reachout to thousands of users across the U.S. and help analyze sales data to generate growth for each unit. The delay in requests being fulfilled is my only copmlaint. Have a reporting process established to create value out of all the data points you will be recording. The ability to see pictures and have them tagged with products, so they can be evaluated for compliance. Managing places, since they are constantly changing and can be referred to by many names. Tracking execution of marketing programs, the benefit of seeing the pictures within minutes allows for adjustments before a misunderstood objective becomes wide spread. "I can utilize this program in all my retail accounts." I like the ease that you can do missions, provided that our Business Managers, request the correct information that needs to be collected, including specific items and photos of these items. I dislike the fact that sometimes my accounts don't show up for specific missions. We are a Brokerage Firm and Go Spot Check enables our customers to get a great "feel" of what our organization is actually doing in the field that drives sales for their products. Inventory issues, display photos and POG adherence. "Great product and a supportive staff"
The program is very easy for me to execute and for the end user. Some of the reporting which Go Spot Check is fixing for me currently. "Quick, easy to use. " Easy to use, excellent tool! Gives you the ability to quickly assess important data points remotely. This data is provided in an easy to understand snapshot or you can download the details to manipulate the data as you choose. Their customer service & support team is excellent - responding quickly & working to resolve whatever issue presents itself. The team has worked to incorporate solutions or address all issues that have arisen while we have worked through launch of the app/software - so anything I list would be nit-picking. Survey app to assess in store product placements, promotions, & pricing. Used resulting data to improve shelf presence based on brand facings & sales, assess promotional execution of brokers, and understand full brand presence on a monthly basis. I love the ease of creating missions and the cumulative totals that make understanding data fast and easy. Item catalogs should only reflect enable styles. Everytime a catalog is updated, disabled items should be removed from sight. If you want to cut back on admin time and maximize production on the field, GoSpotCheck is the answer! "Great way to show your work. " simple and easy to use. It is very easy to update. On the following month the old info stays on history to long after the current month begins. One large mission is better than a few missions. Display execution. Gathering pictures from a location in an organized fashion. "Commerical Sales representative of a beverage alcohol company "
"GoSpotCheck gives you access to review in-store execution in stores across the country." Summary reports are quantifiable with photo's to show evidence. You have to make sure that your reps across the country all input GoSpotCheck audits. Why travel to see your in-store execution? It can be done from your desk. Evidence based audit capabilities nationally within days. "Great product with even better staff"
The team GoSpotCheck employs makes using their app and services so simple and useful. I cannot say enough about this group of employees. As they are growing, they are doing their best to add new features to the app. But, for now I dislike not having some mapping feautures that would be helpful for our team. We are solving issues with having inaccurate information, and not collecting enough data. We are now making smarter business decisions because of them. 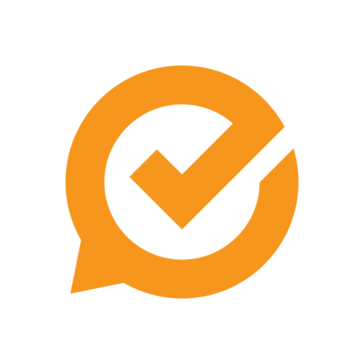 "Easy, Efficient, Helpful, Tracking "
* We monitor all GoSpotCheck reviews to prevent fraudulent reviews and keep review quality high. We do not post reviews by company employees or direct competitors. Validated reviews require the user to submit a screenshot of the product containing their user ID, in order to verify a user is an actual user of the product. Hi there! Are you looking to implement a solution like GoSpotCheck?